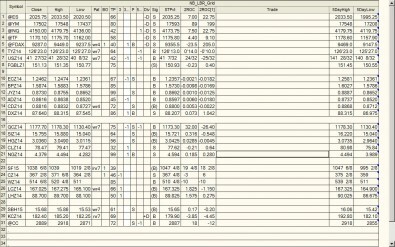 Friday’s trading saw good reactions up off 2-period ROC Buy Divergences in markets like GC, EC, and even the Yen. After buy divergences in the 2-period ROC, ignore Pinball sells and look for continuation. 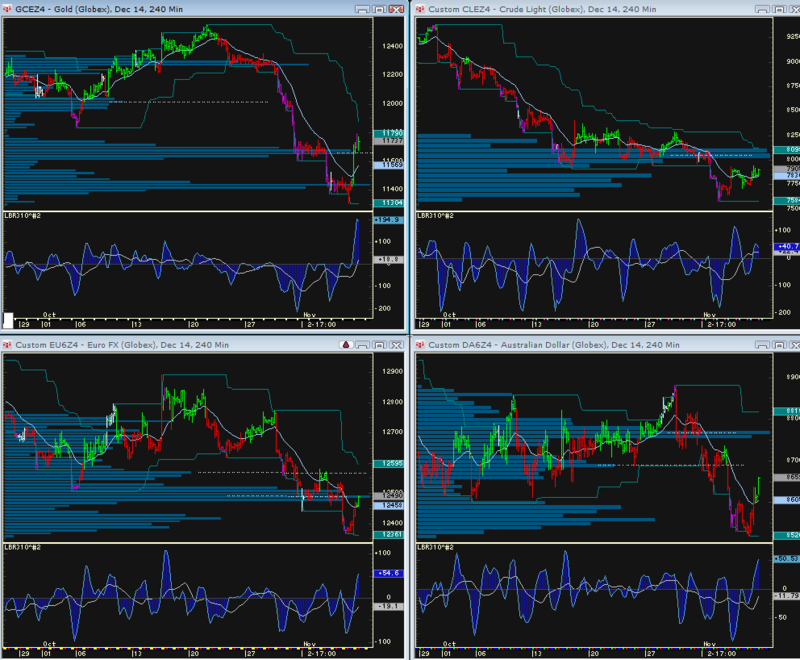 The charts posted below show the high volume nodes given a 10 day look back. 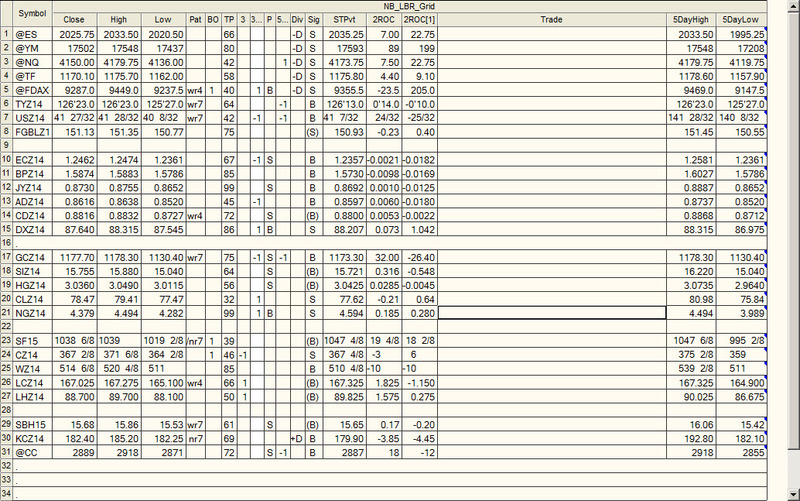 EC – 124.87, then 125.37 124.60 to the downside. GC: 1167 to the downside, 1180 to the upside. You can see how these levels can come into play on the chart posted below. Click on the chart and it will magnify to fill your screen. 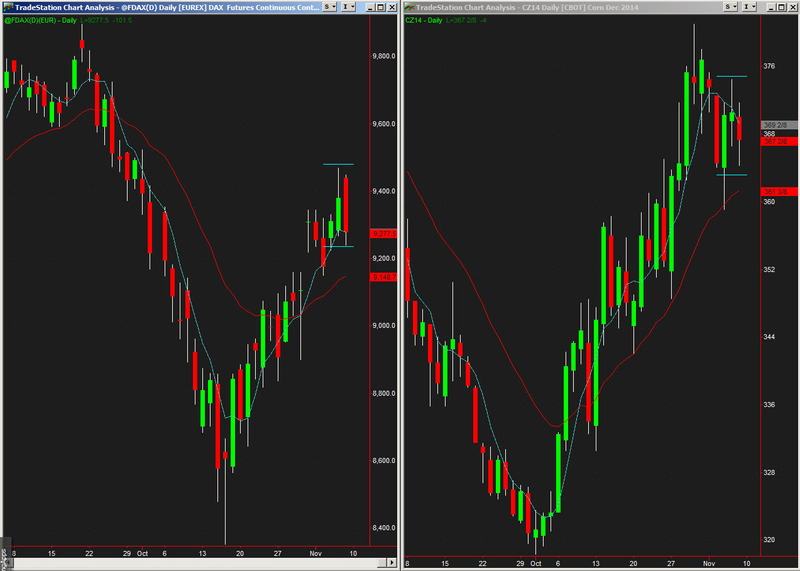 There are very few initiating setups for Monday. 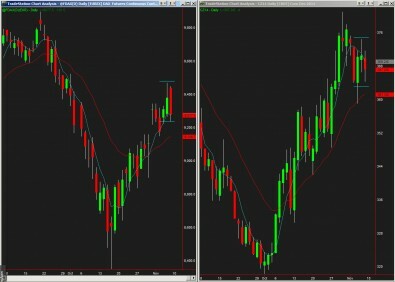 Bonds – Z day /consolidation day – look for two way scalping. 142.04 is key to the upside. SPs: Small caps should still set the town as the Russel has 1178.60 swing high still to be tested. SPs left a 2033.50 spike high in the Globex session. 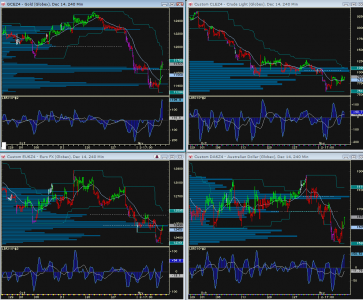 All time frames remain in an uptrend and there is no glaring sell divergences. The moving average of the equity only put call ratio still remains on the high side, indicating sentiment has shown no excess exuberance…..
We will update in the morning if there are any overnight significant move!